The one where I did something drastic... To my nails. 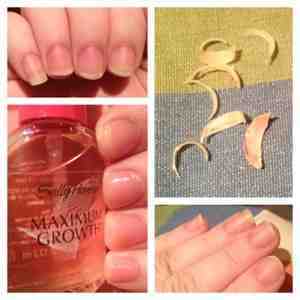 I'm not blessed with naturally strong, easy to grow, non-flakey nails. Never have been and barring some dramatic hormonal change am unlikely to develop them. So it's a challenge to keep them long and nicely shaped. I battle with them splitting and flaking every day and recently it's all just got a bit too much. So I've done something drastic. I've cut them all off! I'm starting over and for a while I'm going to keep them short in order to (hopefully) build up strength. "I'm actually panicking." "I've just cut all my nails off! Omg!!!" All of these thoughts are swirling through my head right now lol. Wish me luck!